Definition of ambivert. 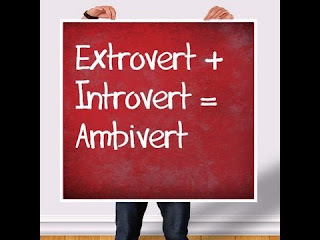 : a person having characteristics of both extrovert and introvert. All this while i thought i am a weirdo.. I love socialising but at times i just love to be alone. Back in school, i was always in a group of girls. Primary school, secondary school and even in uni days :) i always always make sure i was not alone, even eating alone made me feels like i am a loser. But when i grow older, i feel the need to be alone once in a while. i learn to enjoy alone time in public, like reading in bookstores, or eat at my favourite sushi joints, or just strolling/jogging in the park alone. But at the same time i always need to subscribe to a society, or clubs or group of people with same interests...which are beyond my circle of friends.... :) My current interest group includes this one ladies NGO, charity and latest is Freshpicks family :p But as usual, i need to have my me time once in a while to re energize and self motivate myself. Finally.. my own Freshpicks online shop! Great news for Freshpicks lovers!